It's now November 2nd, and all over the world, those taking part will hopefully have written 3,334 of their newest novels for NaNoWriMo. I first attempted NaNo in 2007, but I didn't 'win' until 2008, when I wrote the first draft of my Fowlis Westerby novel. 2009 was a bust, but I did finish a Vertigo City novel in 2010. I didn't complete in 2011, or 2012 since I was trying to balance a PhD and a teaching qualification, both of which left me very little time (or, indeed, headspace for writing). I finished my teaching qualification in May, and I was really tempted to try NaNo again this year. I've got plenty of potential novels to write. And yet. I love the idea of NaNo but in all honesty, I don't want to rush myself. I had a really productive plotting session with my beloved Nerine Dorman, about my next venture, and she helped me realised just how much research I need to do. Sure, I could write first and correct later, but that just seems a waste of time, especially if factually inaccurate material needed to be scrapped entirely. 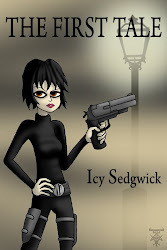 I went through my other potential novels but they're either too short (the third Grey O'Donnell book will be aimed at 30k, the same as The Guns of Retribution, as will the sequel to my forthcoming Necromancer's Apprentice) or again, they require too much research. So I'm treating November as Consolidation Month. 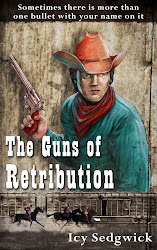 I'll be working on edits on my Fowlis Westerby novel, which I think is almost done, and I'll be writing the last 2k words or so on the sequel to The Guns of Retribution, a horror Western named To Kill A Dead Man. I also have plotting and research to finish for the novels I want to write, not to mention short stories I'd like to write set in the same world as The Necromancer's Apprentice. I'll never finish it all in one month but I think it's better that I spend the time working on finishing projects, or setting up new ones, instead of writing to splash out 50k words on an idea that isn't ready. However, I will be cheering on anyone who is tackling NaNo, so leave me a comment, tell me what you're working on, and keep me updated throughout the month! This is my seventh attempt (I have never won--but five of them also occurred while I was in college...so I don't kick myself too hard for losing...if one can be said to honestly lose the Nanowrimo--it is always a learning experience). This year I am attempting a young adult science fiction novel (working title: Farmer Ants). Corporate thriller for me this year. 6700 words in and so far, so good. Morgan - Best of luck! Tony - Aw, no Grammarian?